Gili Trawangan Harbor is located on Gili Trawangan. 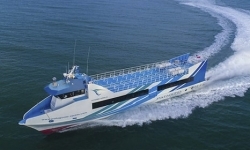 This is the main harbor for sea transfer activates between Bali, Lombok and Gili islands. This port also for many locals activities, especially materials uploading. Some of the fast from Bali are landing directly on the beach, and some are on the jetty. It is depending on the sea condition at the time. 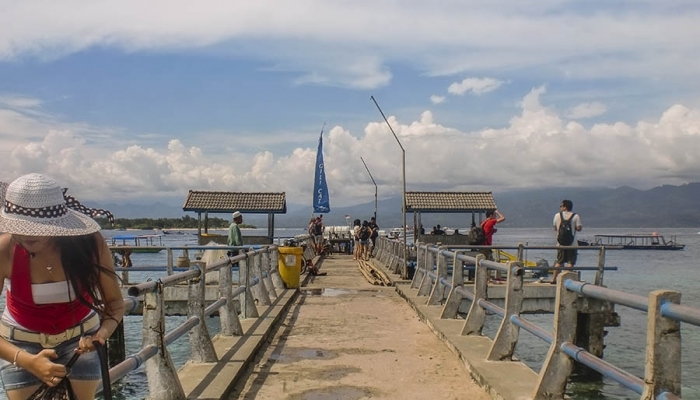 When you get to Gili Trawangan Harbor, you will sometimes ashore using the local boat to the shore. For most visitors, Gili Trawangan is the main destination for their holiday. The Island has increasing numbers of visitors every year. 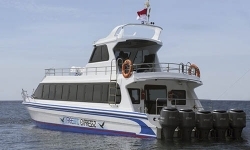 Getting to Gili Trawangan can be easy with Gili fast boat from Bali via Padang Bai, Sanur or Serangan. 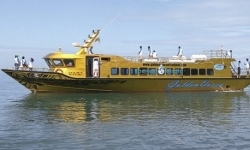 You can also get on a speedboat from Lombok to reach the Gili Trawangan. Gili Trawangan is 15 minutes from Teluk Nare by speed boat and 20 minutes from Senggigi. 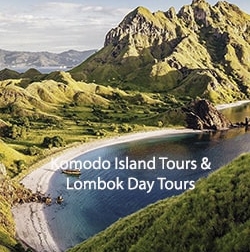 It is 1 ½ hour from Padang Bai and 2 ½ hours from Benoa or Sanur. 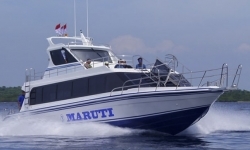 The fast boats which land on Gili Trawangan are Scoot Fast Cruise, Wahana Gili Ocean, and many more. When you arrive on Gili Trawangan Port, some horse cart is available on the port. You may get on the one if your hotel is far away from the port. You will need to pay extra for the horse cart. A boat operator is not providing the hotel transfers on the Island. The reason is due to the agreement with the Island authority. So you can find your own hotel transfers on the island. There are some also stay close, about 300 meters from the harbor. The price range is variety, start from $25 per night. Restaurants are spread around the harbor. There is a Juku Restaurant with special seafood dishes. Manta cafe' also available for western foods and next Sama Sama bar for the best nightlife.